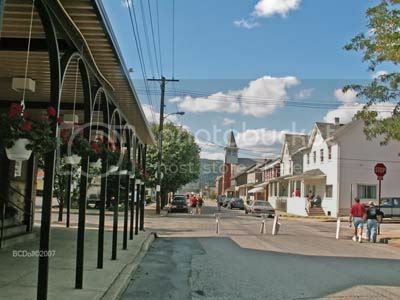 This is a special posting of the Life of a Small Town Photographer blog by a guest blogger. I'm Gregg's wife, Barbara, who is usually behind the scenes in this endeavor. However, for FolkFest this year, Gregg remembered (don't ask me how) that he had a copy of James Talley's debut album from 1975. He wanted to take it along with him to FolkFest and have me take a photograph of James autographing the album for him. Since I had the camera with me, Gregg asked me to take it along as I explored Cambria City's Ethnic Festival, and rode the Inclined Plane on Saturday and visited the Log House Arts Festival in Westmont on Sunday. That way, we would be able to cover all of the events during the busy, busy weekend! 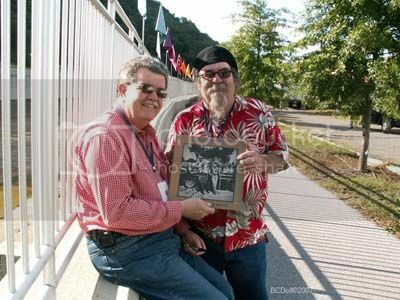 James Talley and Gregg with the autographed album. 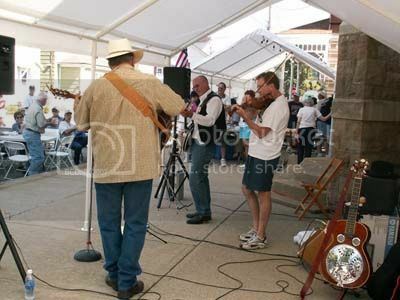 When we first stated to go to FolkFest, it was held in Cambria City. 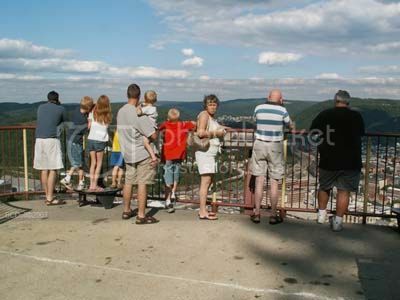 When the venue was changed to the area near the Point Stadium, the churches and the community itself in the Cambria City area decided to continue to offer a festival which includes, food, music, crafts, and activities for the children. In addition, a lot of residents hold yard sales over this weekend. Lou Stein and All That Jazz performed at St. Mary’s. This spot was also a big draw for folks looking for good food. 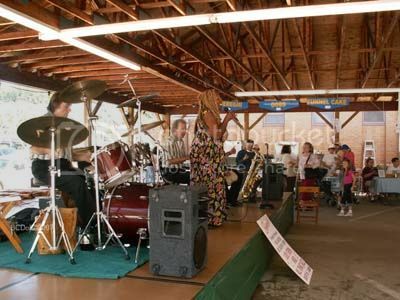 Hard Rok, KoKo and Jo perform in front of the Bottle Works. 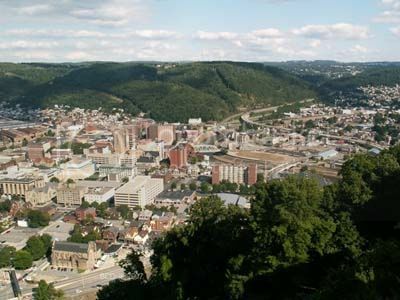 If you grew up in this area, you will remember the short 1950's Christmas cartoon, Hardrock, Coco and Joe, that has aired for years during the holiday season on Johnstown's WJAC-TV. 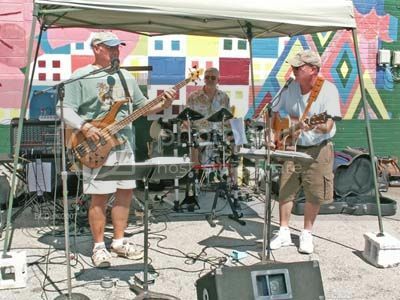 Since the Cambria City Ethnic Festival features local artists, I thought this group was appropriate to add to the blog. Pawnee Creek performed at Holy Cross Lutheran. They played some of my favorite folk songs and the lead singer said he was from Hastings, Nebraska. 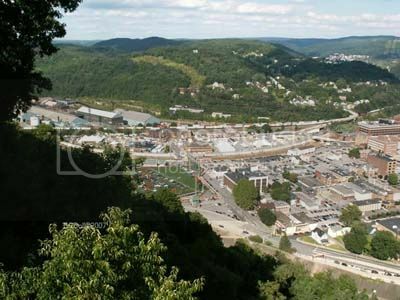 Since we are from Hastings, PA I thought this was a good reason to add it to the blog! Slovak imported crafts were featured next to the Holy Cross stage. 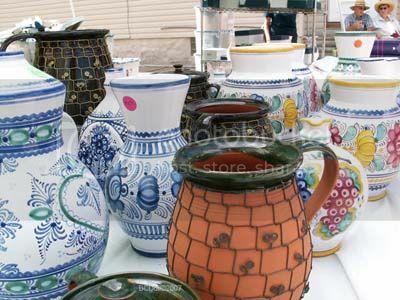 There was a wide variety of ceramic and glass. 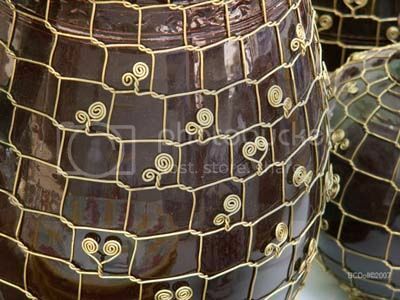 I really like this twisted wire on the tinkers ceramics. As you can see, it was a gorgeous weekend. It was great just to walk along and see the sites. Rides on the Inclined Plane were free this weekend so when I returned to the FolkFest area after visiting Ethnic Festival via the free bus on Saturday, I decided to walk over and ride to the top to take in the sights. 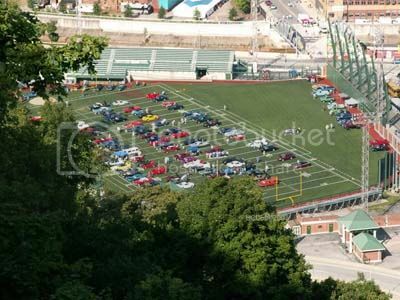 This view shows the Point Stadium in the foreground, which had a car show on Saturday. Friday night there was a high school football game there. FolkFest is in the middle of the photograph. Behind the tents, you can see a train going through. The trains added their own sounds during FolkFest! The view to my right from the top of the Inclined Plane was just as worthwhile! The observation deck offers a great view of the valley, although I didn't really enjoy being too close to the edge! A closer look at the cars from the Car Show in Point Stadium. 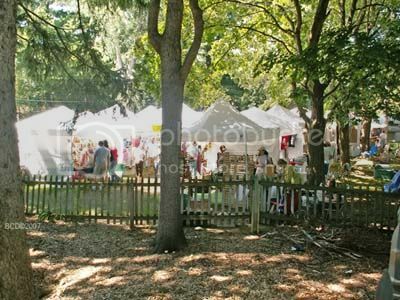 The craft tents are spread out among the trees in a very picturesque setting. 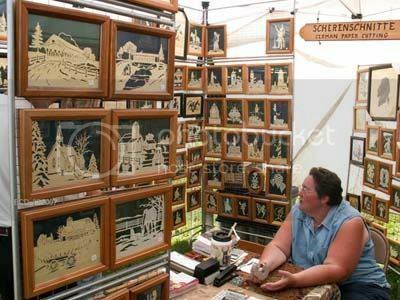 Scherenschnitte (scissors cutting), which I always thought was a German craft, actually started in China around A.D. 200 according to the literature this vendor provided. 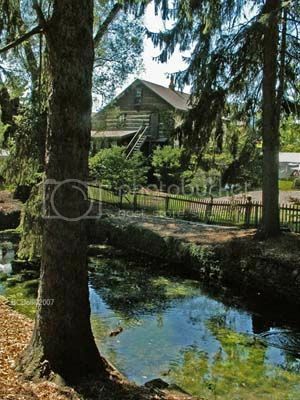 The Log House reflected in The Pond. The pond was refurbished/maintained by Westmont Kiwanis Club 89-90.